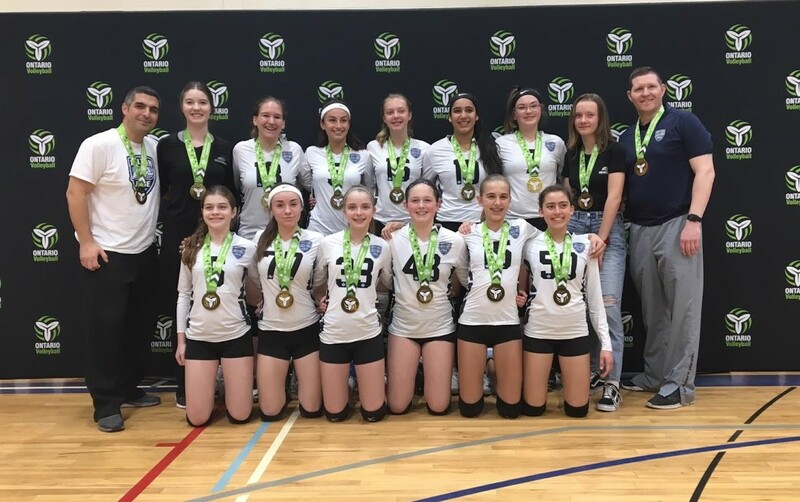 Good luck to all Milton Edge teams competing in Ontario Volleyball Championships and 2019 Volleyball Canada Nationals! Follow us in fb and instagram for Edge updates. Milton Edge's Elite & Premier Beach Programs designed for experienced athletes that want to take their skills to the next level. Registration opening soon! 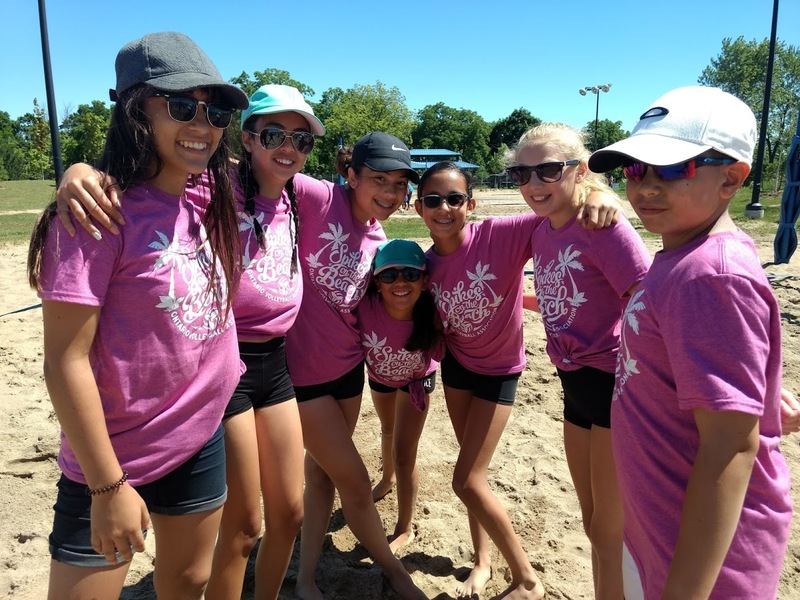 Skills development beach camp for beginner to advanced athletes, with an excellent coach to athlete ratio. For boys and girls ages 7-14. Registration Now Open! 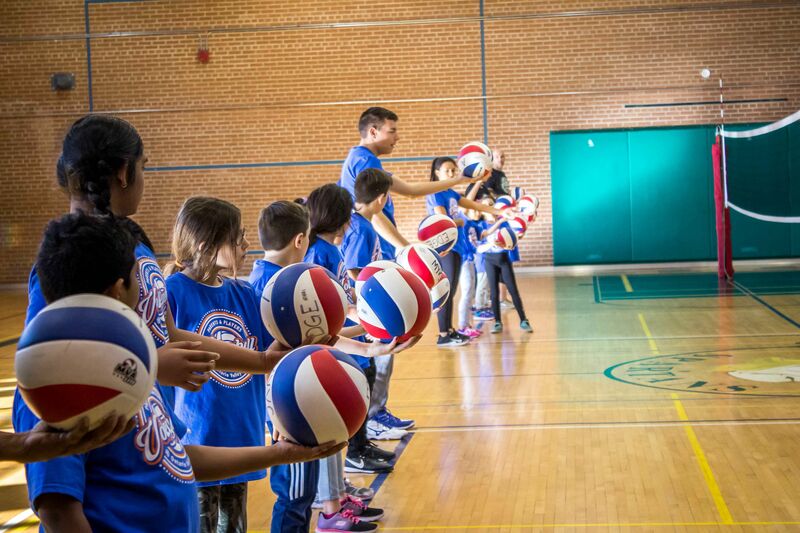 Skills development for beginner athletes, with an excellent coach to athlete ratio. For boys and girls ages 7-11. Spring registration Open! Milton's favourite indoor volleyball camp. For novice to advanced athletes - learn, develop and improve competitive skills. For boys and girls grades 5-8. Registration Now Open! 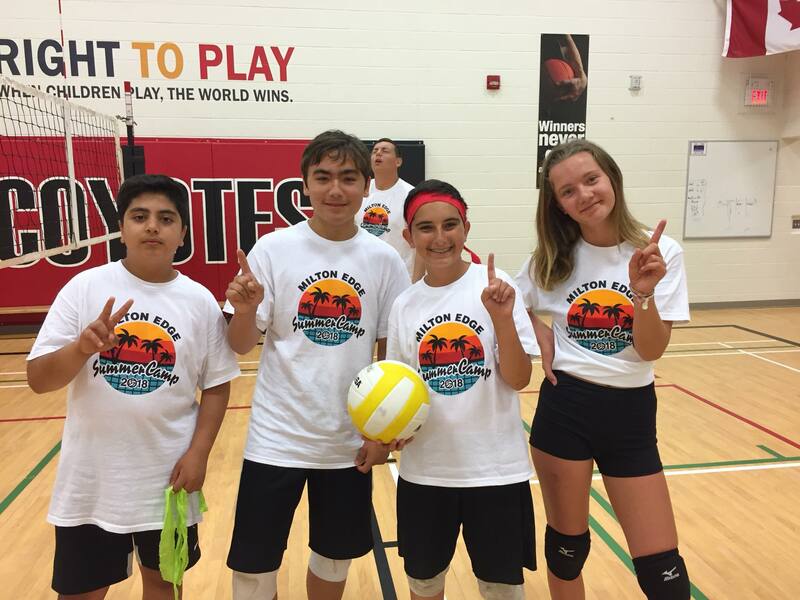 Youth 4 on 4 Volleyball League, serving Milton, Campbellville, Oakville, Halton Hills, Acton, Burlington and surrounding areas. Saturdays! Now registering! 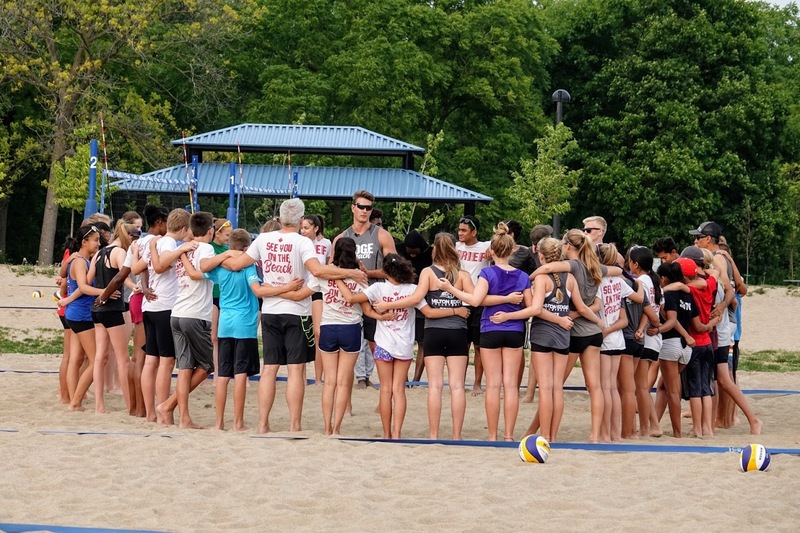 Milton Youth Volleyball Club, as a not for profit, volunteer run organization, kindly asks for support from local to National businesses. The challenge the Club faces each year, is to offer excellence in our youth athlete's training, quality facilities, and high quality equipment, while at the same time managing costs. The kind assistance of dedicated sponsors each season, goes a long way to help our Club achieve and maintain success. 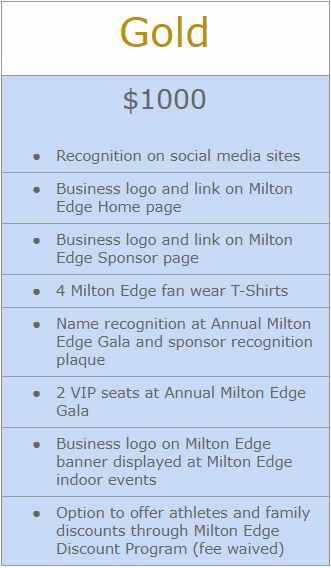 Thank you for considering our Milton Edge Platinum, Gold, Silver and Discount Rewards Program Sponsorship opportunities. 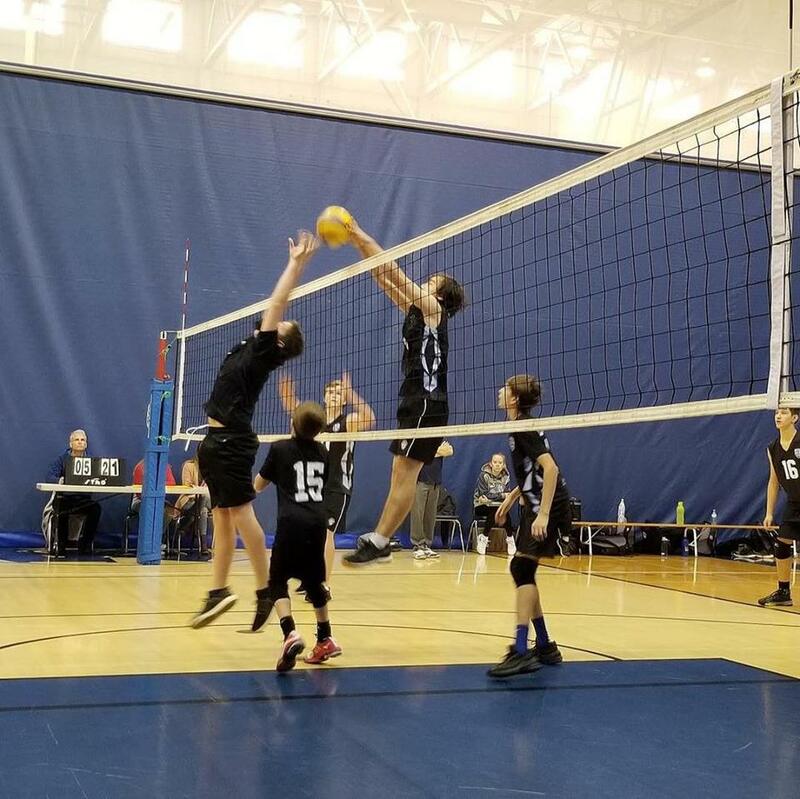 Please print and fill out our Sponsorship Form to become a Club sponsor and proud supporter of Milton Youth Volleyball Club - home of Milton Edge. 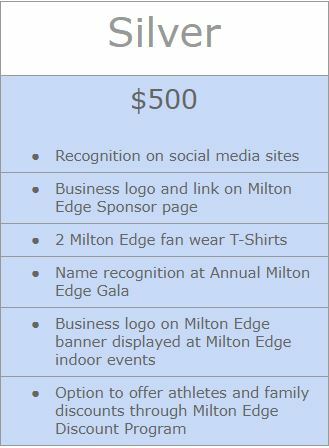 Milton Edge will be accepting sponsorship applications August 31 - October 15th, 2018 for our 2018-2019 Club season.